For much of the 20th century, the southeastern quadrant of Uptown Charlotte contained a bustling neighborhood known as Brooklyn. 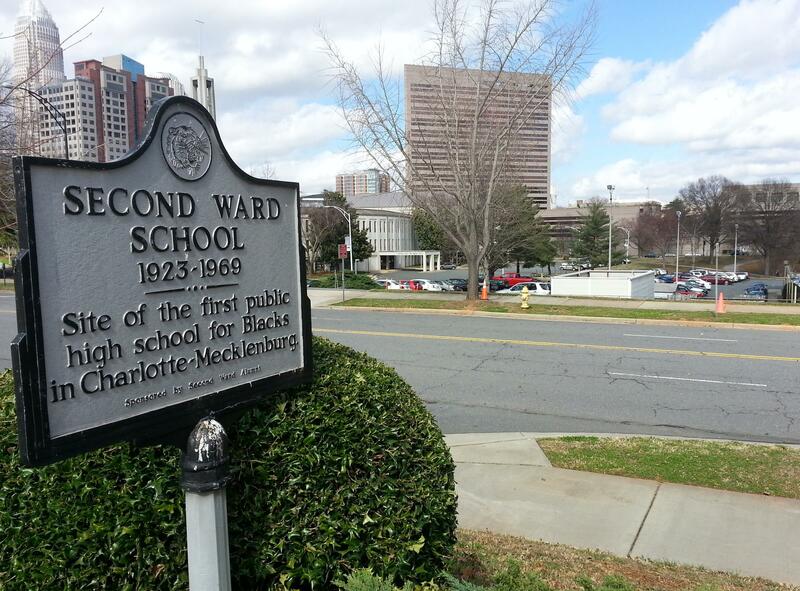 It formed because of segregation, but grew into the center of Charlotte’s black community. Torn down and paved over, a vibrant Second Ward became a sleepy government district. But city leaders plan to revive the area through a new development that bears a familiar name, if they can get it off the ground. WFAE’s Ben Bradford explores the history of Brooklyn, county plans to redevelop Second Ward, and the obstacles both faced. It began in the 1880s, with the Myers Street School, the first black graded school in the county, and families moved from all over for a chance to educate their children. Meanwhile, segregation was intensifying, pushing families and businesses out of other areas of town. They resettled into the area that by the early 1900s was called Brooklyn—after the New York borough. Levine Museum of the New South staff historian Tom Hanchett gives a verbal tour of Brooklyn, from what is now a parking lot on 3rd and Caldwell. “When I came to Brooklyn, I — just to compare it – it’s like going from Charlotte to New York City,” Price Davis says in an oral history recording by UNC-Charlotte. UNCC recorded the remembrances of more than 30 former Brooklyn residents. Davis walked into Brooklyn every day to attend Second Ward High School in the 1930s. “There were a lot of people, lot of people, lot of action and what not,” he says. Few hints of the neighborhood remain today. The original Grace AME Zion Church is still there, as is the Mecklenburg Investment Company building. 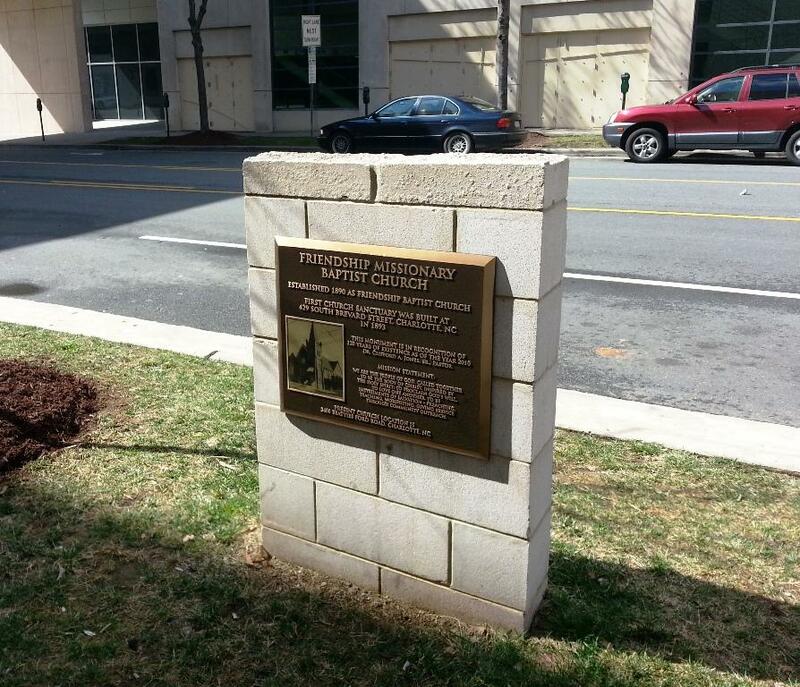 A plaque on Brevard Street, near Martin Luther King Jr. Drive, commemorates the former site of the Friendship Missionary Baptist Church. The city accelerated its razing of the neighborhood in 1963 as part of a national campaign called urban renewal. City leaders cited the slums, unpaved roads, and the long, thin shotgun house tenements as the reason Brooklyn needed to be razed. Levine Museum of the New South historian Tom Hanchett discusses urban renewal and its plan to "sort out" mixed-income communities. For the past half-decade, Second Ward has been a largely government-owned office district. But in the early 2000s, city leaders proposed a new development to revitalize the area, called Brooklyn Village. Ten percent of the Brooklyn Village apartments were to be affordable housing, dedicated to families earning less than 30 percent of median income. A slide from a county presentation, showing the plans for a new Brooklyn Village. They were slated to open in 2011, but when the time came, construction hadn’t started. Dulin and county officials blame a series of lawsuits by Charlotte lawyer Jerry Reese over the Knights baseball stadium. Reese thought the city should pursue a major league team instead. So he initiated at least eight lawsuits to block the projects involved in the land swap. Judges dismissed the suits. “We waited and waited, and when those lawsuits were finished, the condo market had kind of disappeared,” says Jim Dulin, chairman of Spectrum Properties, the original developer. After a series of extensions, Spectrum dropped out of the project entirely last year. Dulin is skeptical about its short-term prospects, but the county remains committed. Last week, commissioners hired a consulting firm to look at options. Many former residents of Brooklyn have also supported the project. Vernon Herron, 85, grew up on land that is now part of the NASCAR Hall of Fame. Herron says he does not expect to replace what was lost during urban renewal. "This is a new day. It is a day of integration. It is a day of diversity," Herron says. "So, I would like to see some of the cultural effects which they took away from us restored. Not only for us, but for the entire community." 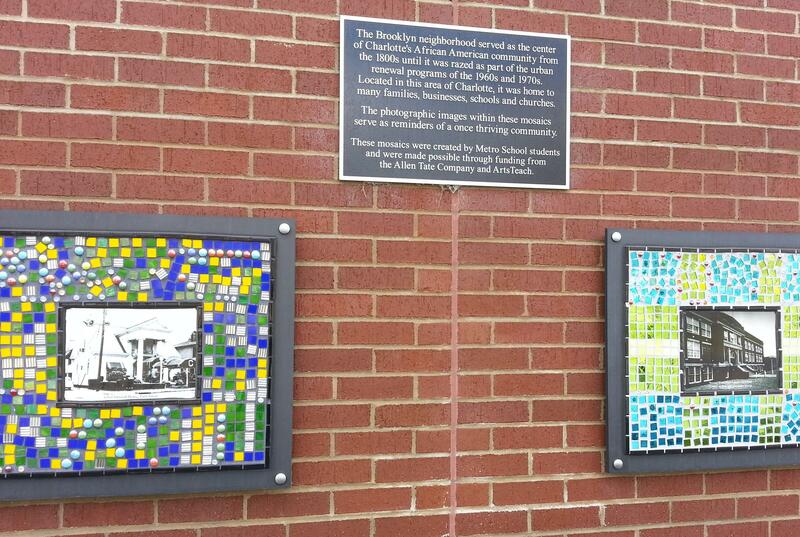 A few photos dot the wall of the Metro School. Alumni of Second Ward High School have called for rebuilding their school. The 2010 and 2020 Vision Plans—on which the City Council and County Commission vote to lay out future development priorities—includes a new Second Ward High School, when the area’s population requires it. A Charlotte-Mecklenburg Schools spokeswoman says it is not included the school district’s 10-year capital plan. Converting the old high school gym into a museum and community center is part of the Brooklyn Village concept. Tom Hanchett, staff historian at the Levine Museum of the New South, notes there is another, less concrete commemoration of Brooklyn in the county’s plan: Society has moved from tearing down mixed-income neighborhoods like Brooklyn and is now trying to recreate them.